When I first saw Lord of the Rings I didn’t know what to expect because I didn’t know the story. I was just told that it was about hobbits (not that knew what hobbits were). The films blew me away. Sure, I was just a little kid and a lot of things do blow you mind at a young age, but the Lord of the Rings movies were just amazing. I knew that the movies had been filmed in New Zealand so seeing this fantastical world set in such a familiar environment made the experience even more magical for me. The places in the world of Middle Earth that stood out to me the most were Rivendell and Lothlórien. They were just so beautiful and I think it gave me a little hope that maybe those places could exist. Falkor from The Neverending Story (1984) blew my mind as a child. I remember the first time I watched this film and first seeing Falkor, I wasn’t sure if he was good or bad. I remember thinking that he seemed nice, but he was so huge that surely he must be dangerous. I really wanted him to be good because he seemed so soft and cuddly, but I couldn’t help but think Falkor was playing a trick on Atreyu. Thankfully, I was wrong and Falkor was the absolute best. The reason this character blew my mind was because of how huge he was, but also how realistic he seemed (at the time). I also loved the way he just seemed like an over grown soft toy, in fact he reminded me of my Cuddly Bear, the most favourite of all my soft toys. The Neverending Story was another of the videos my Nana had at her house so I would watch this film over and over again, and every time I would cry at Artax’s death, but I would know that Falkor was going to show up soon so that was okay. If I think of what blows my mind now, completely different kinds of things come to mind. Mostly, I am now impressed by the cinematography in a film or the excellent story rather than how magical a world seems or how large and cuddle a character is. Every time I watch an episode of Peaky Blinders (2013) I get really excited over the beautiful cinematography. This show doesn’t have really epic shots like the Lord of the Rings, or just about any other film set in New Zealand, instead Peaky Blinders has a lot of gentle, intimate shots and this really impresses me because that’s exactly what I love seeing in cinema and photography. It also helps that the story and characters are really well written. Drugstore Cowboy (1989) follows Bob, Dianne, Rick and Nadine as they pop pills and evade the law. I don’t think I enjoyed this film, I was certainly interested in the story, but I didn’t find it enjoyable. Perhaps I would have been a little more engaged with it if I hadn’t missed the first 15 minutes. Even so, the story seemed to make sense so I can’t have missed too much. There was one particular technique that I did enjoy in this film; when the main character, Bob, was high, there would be extreme close up shots of random things, such as the trigger of his gun or Gentry’s tie, but as he started to get clean, the ECUs turned into close ups. I thought that was a clever way to show his state of mind and how he was beginning to see things clearer. In some ways this film seemed to glamorise the drug culture and promote it by making it look like an exciting, fun kind of lifestyle, but there were also some moments that it did the opposite. Nadine, the “innocent victim” of the story, suddenly commits suicide and this causes the main character to examine his life and make some changes. It was almost as if the filmmakers wanted the audience to want the fun and exciting lifestyle these characters have had, but when this change of events happens, to be ashamed that they thought this seemed to be a good life. Oz the Great and Powerful (2013), directed by Sam Raimi, was basically a prequel to The Wizard of Oz (1939), directed by Victor Fleming. The Wizard of Oz has been one of my favourite films since my mum showed it to me as a young child, so I was naturally a little excited, but also a little skeptical, when Oz the Great and Powerful came out in 2013. Admittedly though, I didn’t watch it until a few weeks ago and to say I was disappointed doesn’t even begin to describe how I felt about it. The promise of returning to that fantastical world that I loved as a child, but as a revamped version, made me a little giddy with excitement and I felt like a child again. The beginning of the film I enjoyed. I liked the way it seemed to pay tribute to the 1939 film in the way it started in black and white with a smaller ratio picture then transitioned to “glorious technicolor” like The Wizard of Oz did. After that it was just a complete let down, it really just felt like a grab for money by the film makers, and, honesty, I really wish I hadn’t watched it. On the other hand, a sequel I enjoyed more than the original was The Princess Diaries 2: Royal Engagement (2004). I realise both of these examples make me seem like I watch a lot of movies meant for young people. I swear I don’t, these are just the ones that really stick out to me in the “sequel category”. Don’t get me wrong, I loved The Princess Diaries (2001), it brings me much happiness, but I just enjoyed the second one more. Part of that reason is the characters were a little older and slightly more mature so that was nice to see. More than that though, The Princess Diaries 2 was just a funnier film. I think the fact that the viewer gets to know and love the characters in the first film contributes to this as you know what to expect. Something else I discovered about these films, which I think have also contributed to the success of the sequel, is that they are both directed by the same person and written by the same people too: Garry Marshall (director), and Meg Cabot and Gina Wendkos (writers). Also, Julie Andrews makes anything good. When I was little, my Nana had a video tape of Dad’s Army (1968-1977) which my brother and I used to watch when we stayed at Nana’s. Sometimes we would take it back to our house and watch it with mum and dad. I remember finding parts of it quite boring, but other parts were really funny. The problem was, half the time I didn’t know what was funny, I just knew that everyone else was laughing so that meant something was funny. My brother’s favourite episode was Asleep in the Deep so that was the one we watched most often and the one I actually found the most enjoyable. I probably found it enjoyable because I understood how ridiculous it was for these men to be stuck in a room that gets flooded. I watch this episode again recently after watching Dad’s Army (2016) the movie (which I really enjoyed), and I noticed little parts that I remember laughing at when I was young, but this time I understood why they were funny. I still found that my favourite part is the “terrible way to die” line. One of the other videos that my Nana had that my brother and I watched repeatedly was The Animals of Farthing Wood (1993-1995) which I always referred to as “Farthing Wood and Friends”. Apparently that isn’t the correct name. The funniest part of this series for me was when Weasel gets drunk. It’s in the first season, in episode 13, when Badger and Weasel get stuck in a cellar. Weasel lies down on the floor under the tap of a barrel filled with wine which drips into her mouth. Again, I didn’t fully understand what was happening, but it was funny because Weasel just keeps blabbering on to Badger and repeating “‘ere we go, ‘ere we go!”. As a child, this was the funniest thing so my brother and I would rewind to the start of this scene and rewatch it countless times and always end up in fits of giggles. Once I realised Weasel was drunk, I found it funnier and it’s still pretty funny today just because of how ridiculous it is. Obviously my humour has changed now that I’m older, but that doesn’t mean that everything I watch has “inappropriate” humour. One of my favourite films is Boy (2010) and even though it has very serious undertones, it’s still a really funny movie. A lot of the jokes in this film are good old Kiwi humour and they aren’t dirty or inappropriate, they are just funny. I remember watching Titanic (1997) when I was about 6 or 7 and just bawling from the moment the ship started sinking until the end. I think that little me knew that everyone was going to die and that just made me really sad. I also thought that the ship was really beautiful and it made me sad that it was going to sink and never be seen again. Of course I also cried more when Jack dies, but that’s kind of a given. Most people find that part pretty sad. Another part of Titanic that made me really sad as a child was when Rose runs along the deck to the back of the ship, planning to jump. It wasn’t the part where she is hanging off the ship, just the short scene where she is crying and running along the deck. I didn’t really understand why this was happening when I was young, but the fact that I could see this lady running and crying as if she was being chased made me really sad and concerned. Another thing that made me very sad when I was little was a scene from the TV Series The Animals of Farthing Wood where the hedgehogs die. We had this series on video so I watched it hundreds of times and I swear I cried every time without fail, and I would still cry if i watched it now. I do remember the first time I watched it. Mole was my favourite character because he was small and shy and liked to snuggle on Badger’s back – I think he reminded me of myself to be honest – but Mole, as my favourite, was followed very closely by the hedgehogs. I think I liked them for the same reasons as Mole except, instead of snuggling into Badger, they would always stick close to each other and I found that very endearing. So, as you can imagine, I was very upset when they died. The clip below is the scene where they die (they get run over crossing the road), and when I was little, I had such hope that they would make it out the other side and part of me didn’t quite understand when they didn’t get back up again. I think I didn’t quite understand that the people that made The Animals of Farthing Wood had no idea that the hedgehogs were my favourites and shouldn’t die. Now, I don’t find it so sad. I find it more frustrating than anything because they literally just curl up and die. The hedgehogs get themselves in a difficult and dangerous situation which terrifies them, decide they can’t make it through, curl up into a ball and let death – or a speeding car – take them. Oh, but at least they have each other. When I am asked what movies I find tragic nowadays, my mind immediately springs to Clint Eastwood’s Changeling (2008) starring Angelina Jolie. It is based on the true story of Christine Collins who’s son disappeared and was never found. What I find particularly sad or tragic about this film is the part where the police bring a boy to Christine and tell her it’s her son when it isn’t. Even though they know this is not her child, they won’t admit this to her and force her to take this boy and take care of him as if he were her son. This makes me sad because through the action of carelessly handing off a strange child to a grieving mother, it becomes clear to the audience and the character, even at this early stage in the story, that no one is going to help her find her son. We do receive a kind of resolution at the end of the film, but it is not a happy one. We discover that Christine’s son was kidnapped along with several other young boys. Some of the boys managed to escape, but Christine’s son never did. Although Christine gains some peace from knowing what happened to her son, but it’s a tragic ending because, not only does she find out that her son was murdered, but she has to watch another mother be reunited with her son who did survived. When asked to think of a scene in a movie that really scared me as a child I immediately picture on particular moment from The Wizard of Oz involving The Wicked Witch of the West. It isn’t when she melts like most people think it might be, it’s when her face fills the screen as she laughs. The Wizard of Oz was my favourite movie as a child and I would watch it as often as I was allowed, but I couldn’t watch that one scene alone. As a child, it felt as if she was bursting out of the screen and was directly in front of my face, laughing at me. In fact, that scene and that feeling made me think the triangular shape of the moths that would sit on my window were the tip of the witch’s nose. It took me a while to get to sleep sometimes. If I watch this scene now I no longer find it quite so scary, but the little Johanna within me still cringes. Although, I do notice that the witch’s face doesn’t seem as big as it did when I was small. Trying to think of a scene in a movie that scares me now like this scene used to doesn’t result in much. I find that I’m more likely to be disturbed by something and have that stick in my mind rather than something scary. I’ve certainly been scared plenty of times during films – The Conjuring (2013) had me on the edge of my seat and hiding under a blanket the whole time (like just about any of James Wan’s films), The Haunting in Connecticut (2009) gave me the shivers, and I stupidly watched Case 39 (2009) alone and I think that speaks for itself – but there isn’t anything in particular from these films that really scared me or made me look twice in the dark. The things that really stick with me now are the things that I can relate to my life, the things that could actually be possible. I remember watching Texas Chainsaw Massacre: The Beginning (2006) and seeing Leatherface hook a girl in the shoulder and collarbone with the kind of hook we would use in the woodshed to move bales. That gave me the shivers and really stuck with me. 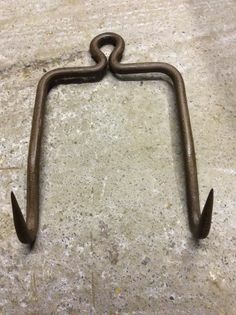 I think that is because I have often been around those tools being used and know how easy it would be to get in the way and have one of those hooks land in your arm. I also just really hate the idea of sharp things landing in people and I don’t really trust people with knives or other sharp things, so that may have something to do with it too. There’s another scene from a movie that disturbs me far more than the hooks in Texas Chainsaw Massacre. Again, it’s something that could plausibly happen, although I’ve never actually been around anyone in this particular situation. In Lars von Trier’s Nymphomaniac: Vol. II (2013) there is a particularly horrific scene where the lead character, Joe, terminates her pregnancy alone on her kitchen floor. It’s brutal. I won’t go into detail. Before watching this film I had known that abortion was an horrific ordeal, but this scene made me realise that on a new level. Nymphomaniac certainly focuses on a delicate and controversial topic and is quite graphic, but I did enjoy both volumes. I found it quite refreshing that it focuses on such a sensitive topic and doesn’t shy away from being really honest about it. 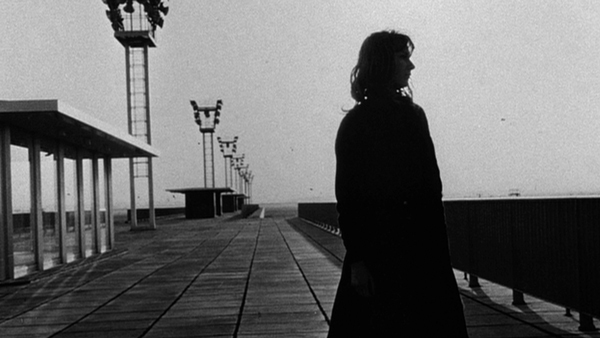 Cinèma Vèritè was invented by Jean Rouch and Edgar Morin who was inspired by Dziga Vertov’s theory about Kino-Pravda, but the term was coined by Georges Sadoul. These styles of filmmaking are quite similar as they both strive to give the truth, but each take a slightly different approach. Cinèma Vèritè allows the filmmaker to be involved in the film and even speak or appear in the film – their presence is meant to be felt in this style of documentary filmmaking. Direct Cinema on the other hand is an objective style of documentary filmmaking, opposite to Cinèma Vèritè, where the filmmaker is invisible – almost like a fly on the wall. Examples of films in these styles are Chronique d’un été (1961) (Cinèma Vèritè), On The Bowery (1956) (Direct Cinema), and Sofia’s Last Ambulance (2012) (Direct Cinema). I’m very taken with this series at the moment. In fact, “taken” might not be quite a strong enough word because I’d more consider it to be my favourite thing. It’s such a beautiful production, and so well written with a brilliant cast so it’s no wonder I’m loving it. I had seen it on Netflix for a while, but had scrolled past thinking I’d watch it another time. Then I discovered that one of my favourite actors, Tom Hardy, had a role in it and I was down… and by down I mean I just sat myself down right there and then and started watching. I quickly forgot that I was waiting for Tom hardy to make an appearance (turns out I had to wait for the second season anyhow) because the cinematography was so beautiful and the writing of the show so good. One of the things I noticed was the unusual style of framing. It doesn’t happen all the time, but occasionally there would be what I would refer to as “negative space”. It’s not strictly speaking negative space, but the reason I call it that is the subject of the shot is in the corner of the frame with the background, while important to each location, is flat and appear more like a backdrop from a stage play. I noticed this particularly in the first season (in fact, I think the two examples below are from the first episode). What I really enjoy about these two shots is that they are balanced out; the characters in the bottom left corners are balanced by the horse/chandelier in the top right. Another thing I liked about the cinematography of this series the unconventional use of “looking space”. Normally a character will be framed on one side of the frame and looking into the space on the other. Peaky Blinders is often framed in the opposite way with the character looking to the side of the frame he is on, leaving the space awkwardly open. This kind of framing is purposeful and not done just to be different. In the scenes these examples are from, I think this framing represents this character’s mindset about the situations. This character, Tommy (Cillian Murphy), is always looking ahead, considering the future, and working towards that. To me, this framing represents the character’s situation in which he is seemingly stuck, but the fact the he is looking to the side of the frame, into what we as the veiwer cannot see, shows how he is thinking outside of, and is somehow able to see beyond his current situation. The example below is the brother to the shot above as these two characters are conversing in this scene. Major Campbell (Sam Neill), the character below, compared to Tommy above has plenty of looking space and always uses it. This, along with the relaxed feeling of the mid-shot framing, allows the character to appear and feel in control and be confident. Tommy on the other hand, is framed in a close-up and only occasionally looks into the space in the direction of Major Campbell. Although this framing and these actions suggest Tommy is trapped with no way out, the nature of the character, as discussed earlier, suggests he is more in control than he appears and sees a way out of his situation that is not clear to the viewer or Major Campbell. The shots below are here mostly because I think they are beautiful shots that do a really good job in capturing the character’s emotional state. As far as I can tell, the first shot (and a lot of others in this series) are lit naturally and, as I’ve explained in a previous post, I really love natural lighting. This particular shot, I think beautifully captures the emotions of the moment – Tommy is surrendering and preparing to die while maintaining a sense of pride and courage. The low angle suggests Tommy is less powerful in this situation (because he has accepted his defeat), but the stance of the character indicates his courage and pride as he is holding his head high. I particularly like the lighting and the shallow depth of field in this shot below. I can’t quite put my finger on what it is about shallow depth of field that I like, but whenever I see it in film or photography, it really captures my attention. In fact, this often happens in Peaky Blinders, so I think that’s one of the reasons I enjoy this series so much. What I enjoy about the lighting in this shot is how soft it is, but also the way it is very minimal and creates a lot of shadows on the right side of the face. To have Tommy fully lit in this scene wouldn’t make sense for the world it is set in or the time period. Peaky Blinders is set in the late 1910s – early 1920s so the inside lighting of houses at that time would have been quite dim. The series is also set in the city, in an industrial area, so the air would likely be quite smokey. The shot below is from the “Gypsy fight scene”. The actual fight in this scene is all slow motion and is really very beautiful, but some parts are quite unusual as they are out of focus, like the example below. Another part of this show that I really enjoy, which I have’t mentioned until now, is the music and how it compliments each scene is accompanies. Most of the music in this series is performed by Nick Cave. The creator of the show, Steven Knight, didn’t want to have period music because he thought it would be more relatable more a modern audience to hear modern music. I agree with this decision, I think period music would have changed the feeling of the series completely. The music that was used makes it feel quite gritty and I really like that. This is the “Gypsy fight scene”that the screenshot above comes from. Although this particular clip is four minutes long it’s worth the watch because I think it gives a good overview of the general style and feel of the series. It’s also a great example of the music that is used. I found that I preferred to listen to the story being told in this film rather than watch the images, although I did enjoy glancing up at the screen every now and then. I admit, there were parts of the film where I started to lose interest, but as soon as the pace of the story picked up again, I was listening intently. If I hadn’t watched until the end of La Jetèe and someone had asked what I’d thought of the film, I would have told them I found it quite boring and added something to the effect of “but I don’t like science fiction anyway.” I did watch until the end though, and I’m glad I did. It changed what opinion I would have had, because I found the ending to be very unexpected and quite moving. I thought the ending brought you back into the mind of the child, but with the understanding of the man, and I thought that made it quite powerful and very emotional. This is possibly one of my favourite films so when we were told we would be watching it in class I was very excited. What We Do In The Shadows is a mockumentary/dark comedy (or mockumentary horror comedy) and is funny – really funny – but often in quite a subtle way and I guess that’s quite typical of a dark comedy. It stars the directors of the film, Taika Waititi and Jermaine Clement, and they give brilliant performances. I will be honest, I don’t know how to review this film. I feel I should be critically picking it to pieces and analysing it to the point where I can no longer watch it, but I find this is really just a film that needs to be enjoyed. This isn’t one of those films that makes it more interesting once you’ve analysed all the shots, angles and general psychology of the camera, this is one of those films where you can just sit back and enjoy. Yes, some of the jokes are really quite cringeworthy, but that’s the nature of the story and the characters so it’s easily forgiven (actually I find myself laughing more because of it). I did try and do quite a bit of research before writing this review and found some interesting facts in the process, but that didn’t inspire me to write a “technical” review because, like I say, I personally don’t think it calls for one. I do think I find this film enjoyable and am able to just watch and not critique because I am familiar with the creator’s works and their humour so I know I’m going to get a good show.